Antibiotic resistance is a growing problem, especially among a type of bacteria that are classified as "Gram-negative." These bacteria have two cell membranes, making it more difficult for drugs to penetrate and kill the cells. "There are a lot of similarities in the delivery challenges. In infection, as in cancer, the name of the game is selectively killing something, using a drug that has potential side effects," says Sangeeta Bhatia, the John and Dorothy Wilson Professor of Health Sciences and Technology and Electrical Engineering and Computer Science and a member of MIT's Koch Institute for Integrative Cancer Research and Institute for Medical Engineering and Science. As bacteria grow increasingly resistant to traditional antibiotics, one alternative that some researchers are exploring is antimicrobial peptides—naturally occurring defensive proteins that can kill many types of bacteria by disrupting cellular targets such as membranes and proteins or cellular processes such as protein synthesis. 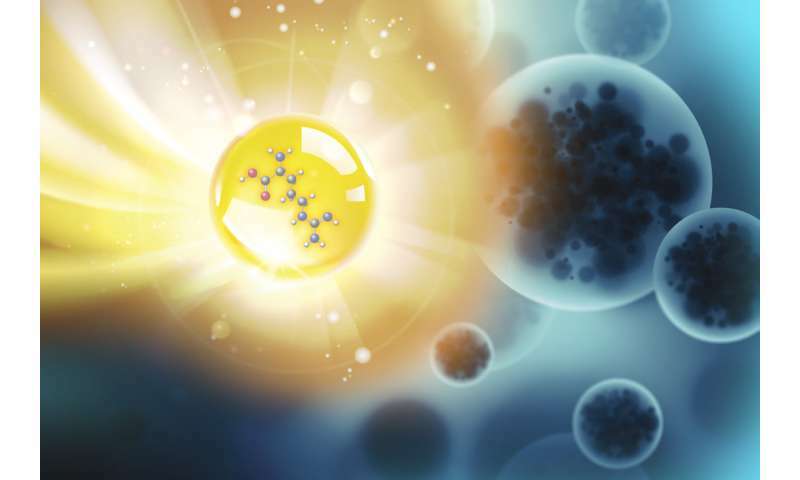 A few years ago, Bhatia and her colleagues began investigating the possibility of delivering antimicrobial peptides in a targeted fashion using nanoparticles. They also decided to try combining an antimicrobial peptide with another peptide that would help the drug cross bacterial membranes. This concept was built on previous work suggesting that these "tandem peptides" could kill cancer cells effectively. For the antimicrobial peptide, the researchers chose a synthetic bacterial toxin called KLAKAK. They attached this toxin to a variety of "trafficking peptides," which interact with bacterial membranes. Of 25 tandem peptides tested, the best one turned out to be a combination of KLAKAK and a peptide called lactoferrin, which was 30 times more effective at killing Pseudomonas aeruginosa than the individual peptides were on their own. It also had minimal toxic effects on human cells. Infectious disease is a fairly new area of research for Bhatia's lab, which has spent most of the past 17 years developing nanomaterials to treat cancer. A few years ago, she began working on a project funded by the Defense Advanced Research Projects Agency (DARPA) to develop targeted treatments for infections of the brain, which led to the new lung infection project. "We've adapted a lot of the same concepts from our cancer work, including boosting local concentration of the cargo and then making the cargo selectively interact with the target, which is now bacteria instead of a tumor," Bhatia says.